I’m Christina, from the Crafty Card Gallery Design Team. I’ve been curious to try out the Fabre – Castell Gelatos, (double scoop). They come in a variety of colours and fun to play with. When I received them in the mail – I was so excited and couldn’t wait to use them! 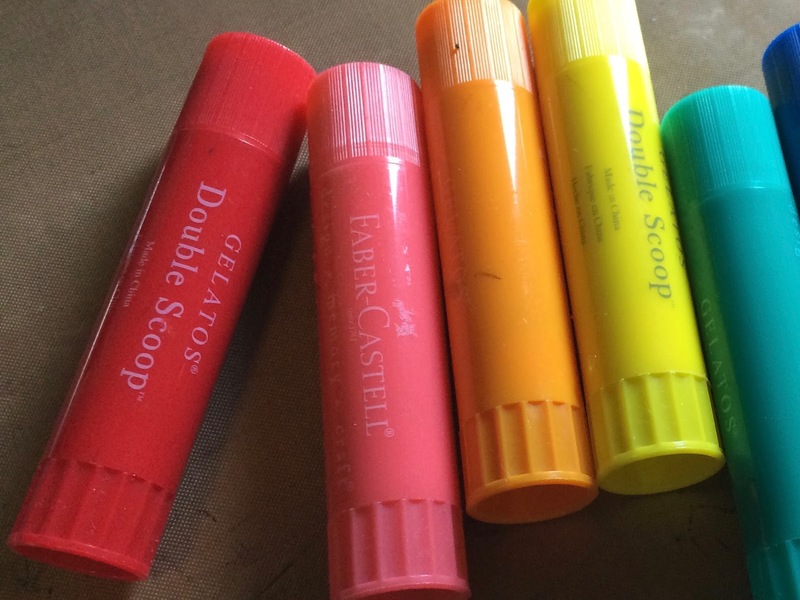 These Gelatos remind me of those flavoured “lip-smackers”, growing up. 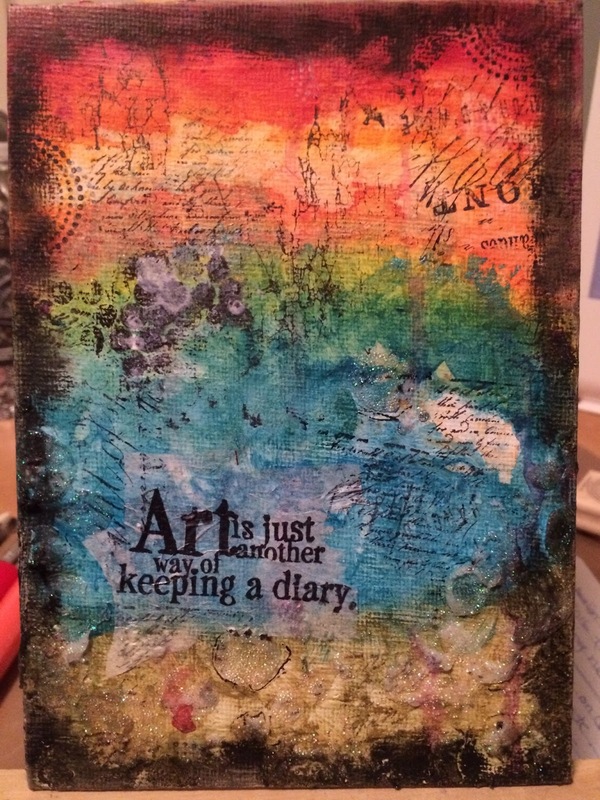 I decided to create a mixed media piece using a white panel canvas and Gelatos. I just LOVE playing around with these “yummy” crayons. You can use them with several mediums to achieve the look you want. My favourite is the Glass bead glitter gel, when it dries it’s sparkly. 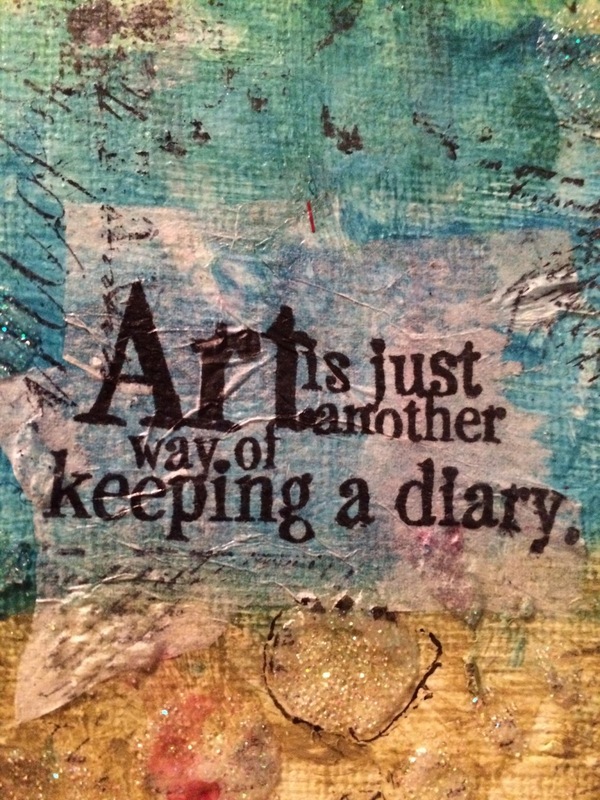 Notice how the saying is popped out a bit, I used tissue paper, stamp and gel medium over the canvas. Any “Frozen” fans out there?! I just love Olaf! “Do You Wanna Build a Snowman”… He’s so adorable and quirky at the same time. Check out my snowman card. Although he doesn’t have the same personality as Olaf, he’s unique in his own way. Take a closer look, notice that the snowman is 3D. It’s pretty cool and brings him to life!